I know everyone is out on a winter holiday or just coming down for breakfast with your family, but I want to pop in just to say Merry Christmas! Not gonna lie, Christmas is my favourite season and I think it's a favourite for a lot of people too. 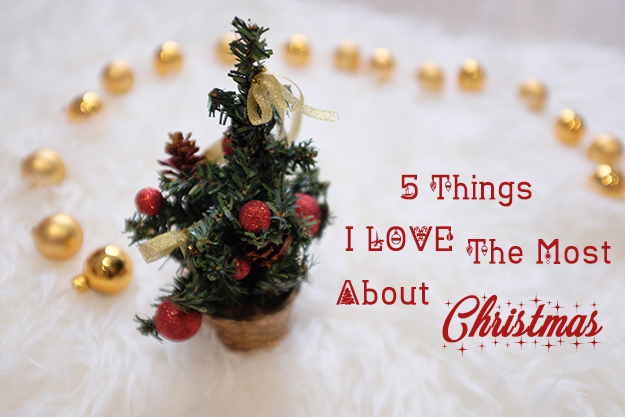 Here I list 5 things that I love the most about Christmas. Let's face it, you actually like the cheesy Christmas themed sweater but too afraid to own it. It's that time of the year where it's perfectly acceptable to wear childlike jumper with cute reindeers, ginger cookie, and Santa on it. Either way, you're part of the same mad, naff, joyful trend. The lights are filling up every corner and Christmas trees are standing gloriously in every single house and public space. 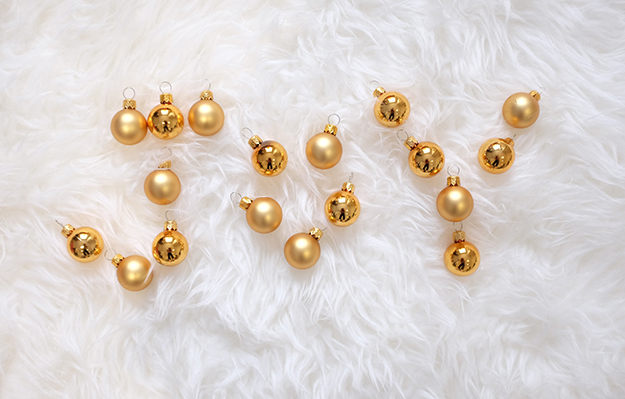 It's all about the green of pine tree, red and gold ornaments, and the white shining star at the top of it all. It's those three colours that define and capture Christmas in the most perfect way. What is Christmas without the background music to set the mood? You can find me rocking around the Christmas tree while humming Jingle Bell Rock because it's the most wonderful time of the year. And I love Christmas Caroling. I mean, not me who's caroling, but the children Christmas Carol show are always such joy to watch. Check out my all time favourite Christmas songs by clicking here. I do have to add "When I Think Upon Christmas" by Hillsong have been on repeat lately. It's the time when we celebrate the birth of the King, Jesus Christ. For the joy of the world, He was born. Bringing peace to us all through the gift of His love. This entire season brings a little extra bounce in your step, plaster a big smile on your face, and just all around good cheer. Whether you're 5 or 85, you will catch the holiday spirit of embracing the kindness and obviously, the spirit of giving! The holiday time brings family who works out of town (even out of country) and friends who we rarely meet on a daily basis together. Admist the hustle and bustle of decorating, hosting, and buying and receiving gifts, we stop and realise how wonderfully weird our family is; and how we have missed just joking around with our childhood friends. I believe the Christmas season calls people to live beyond their routine. The year has almost come and gone once again, and we spent it living, growing, working and never really appreciating what we have around us. We have so much to be thankful for every single day, and while we usually dwelled on many losses, the blessings far outnumbered any bad we experienced. This month is the time to touch every heart with love and care, to receive and send blessings; it is time to breathe the magic of peace and joy in the air. The most precious, memorable times usually don't yell; they whisper. Sometimes in the moments right before gift giving commences, you just have to soak it all in. Take a sip of your coffee, watch all your loved ones gathered before you, and just be. Christmas season doesn't last forever, so enjoy the magic of the season while you get the chance. 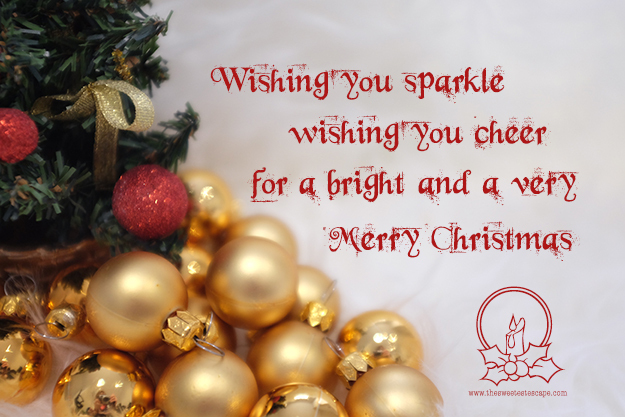 Lastly, I'm wishing you sparkle, wishing you cheer, for a bright and a very merry Christmas.